As Catholics, the Holy Sacrifice of the Mass is the pinnacle of our faith. See below for the different ways you can serve. Extraordinary Ministers of Holy Communion: These Ministers assist the presider in the distribution of Holy Communion. Readers: Readers proclaim the Word of God at the Mass so that the faithful may discover anew God’s Word, alive in our assembly. Ministers of Welcome: Ministers of Welcome deliver positive and personal interactions with everyone by greeting visitors and parishioners at the door, helping them find a seat, guiding them through the communion process, sharing bulletins with them at the conclusion and thanking them for coming. Individuals serve for one month at a time and are typically assigned two or three months a year. 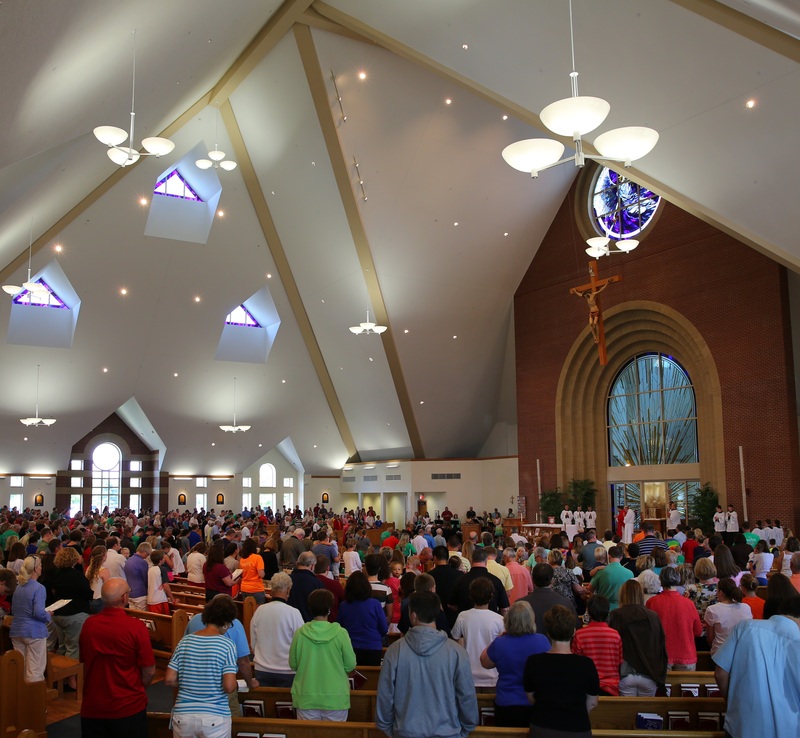 Servers: Servers assist at weekend Masses and at weddings and other special liturgies. All youth of our parish ages eleven – fifteen or grades fifth – eighth are invited to be become servers. Decorators: Decorators help set the environment of the church during all the liturgical seasons. Its major responsibilities include decorating for Advent, Christmas, Lent, Holy Week, and Easter, as well as other special parish events. Rosary Ministry: Through the Rosary Ministry, families, individuals, or groups lead the Rosary prior to each Lord’s Day Mass, on Feast days of Our Blessed Mother and Christmas. Rosary guides are provided for reference, if desired, and the Rosary begins 25 minutes before Mass. You can lead the Rosary on a regular basis, occasionally, or just once.